Each year in UP Cebu Intramurals, Cheerdance competition is one of the highlights of the entire event. This year's season is no excuse to that especially Socsci Stallions geared up and finished second place. Below are the the videos of the different clusters' performance in the Cheerdance competition. If you've got additional videos not included in the list, do let me know so we can update the list. Yes. 2nd Place for Intrams 2015 Cheerdance Competition. Angel already uploaded the front view. mehehe. But the side view looks awesome as well! Viva Soc Sci! <3 We don't wait for change, we initiate for change to happen. 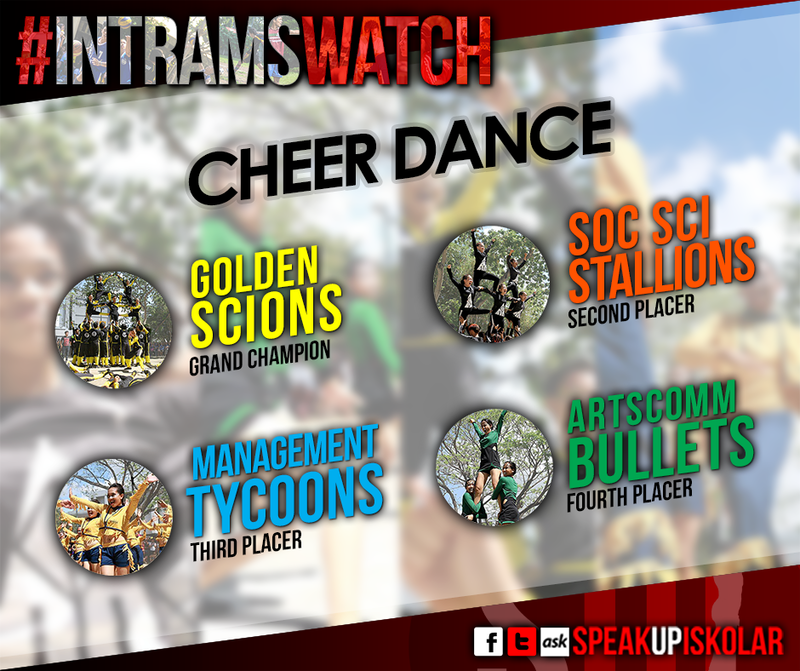 Social Science Cluster hailed as second place during the 2015 UP Cebu Intrams Cheerdance Competition. VIVA SOKSAYYYY! More victories to reap in the coming days!Pasensya sa kurog kaayo nga kamot. :p Salamat Joanalee Gabuya sa camera support HAHAHAHA. Check out the performance ArtsComm Bullets in the #UPCebuIntrams Cheerdance competition. What are your thoughts about their awesome performance, Iskolar?